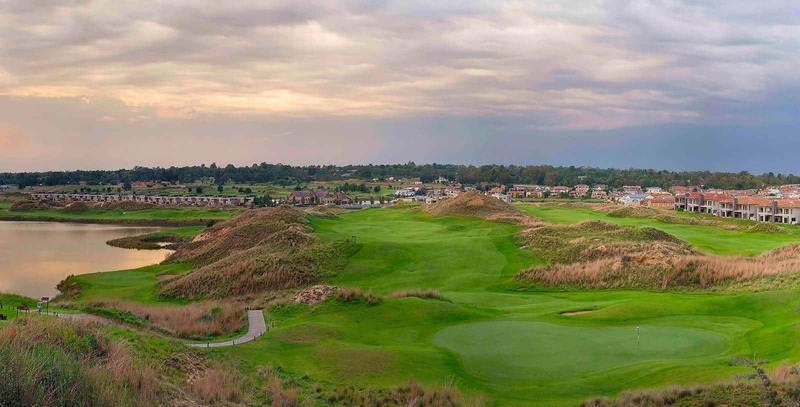 This opening hole of the back nine represents everything you can expect from a links course. Here it’s once again important to choose the correct club off the tee. This is one of those occasions when a long drive will get you into trouble. You’re negotiating a gentle dogleg to the left with the target line being the pot bunker short of the green. Just past the hump in the fairway is a 30 metres dip and any ball that feeds down to the bottom leaves a blind shot to the flag. Using a fairway wood or hybrid off the tee will leave you in the perfect position to get a full view of the green but a longer iron in.